The Golden Link Folk Society kicks off its 2018-19 season on Saturday with the dynamic, Vermont-based quartet Windborne. Lauren Breunig, Jeremy Carter-Gordon, Lynn Mahoney Rowan, and Will Thomas Rowan specialize in cohesive, heart-warming harmonies. 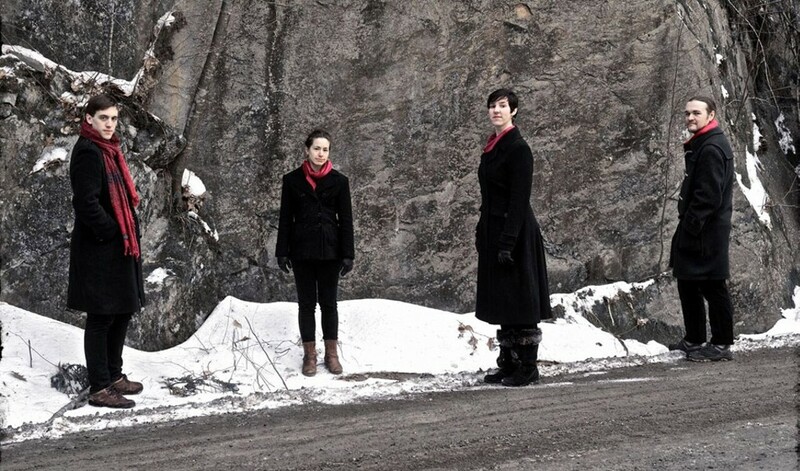 With a charming, traditional aesthetic, Windborne's songs also boast impressive cultural range. In predominantly a cappella arrangements, the group is as equally adept at Basque, Bulgarian, Corsican, and other international folk styles as they are in the conventions of old-time American folk. Windborne will perform on Saturday, October 27, 7:30 p.m. at Rochester Christian Reformed Church, 2750 Atlantic Avenue, Penfield. $10-$22; free for children 12 and under. 857-9265. goldenlink.org; windbornesingers.com.